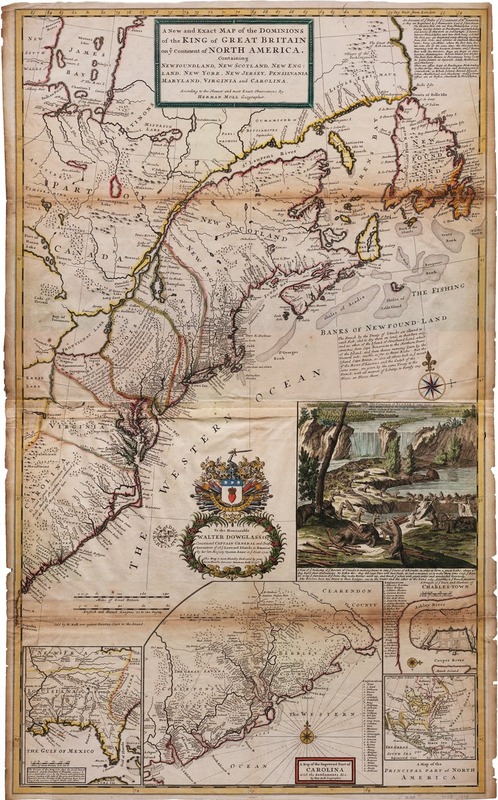 A new and exact map of the Dominons of the King of Great Britain on ye continent of North America, containing Newfoundland, New Scotland, New England, New York, and New Jersey, Pennsylvania, Maryland, Virginia and Carolina. . . . by Herman Mol geographer. Archives and Special Collections, Mary Couts Burnett Library. https://archives.tcu.edu/repositories/2/digital_objects/39 Accessed April 23, 2019.